What’s Our World Saying about VH1’s Atlanta Exes? Ever since the debut of the supertrailer for VH1’s Atlanta Exes last week, the show has become the talk of our world. Watch out ATL! Here comes another group of black “housewives” taking on your local reality TV scene. The series is an Atlanta spin-off version of the VH1 reality show Hollywood Exes. Yet, Atlanta Exes comes with its own flavor and local flare. There’s southern passion, and of course ATL fashion. There’s ex-wives with new strives. Then, of course, there’s anger tears, along with sadness and jeers. And, surely you didn’t think a group of Atlanta Goddesses would have a new reality show without the usual fighting over pet peeves, and the pulling of fake hair weaves. But, deep down under all the reality drama of Atlanta Exes, you’ll find real women, with real issues, values, dreams, loves and lots of virgin hair extensions. Lol. So, who are the five ladies set to add even more Goddess drama to the VH1 screen on August 18? But, there’s one Goddess whose story stands out on this new reality TV show, and that’s the ex-Mrs. Usher, Tameka. In the Atlanta Exes trailer below, it’s obvious that we’ll all get to watch this strong woman heal from much more than just her divorce. Back in 2012, her son with Usher, Kile Glover, died after a tragic accident. Monyetta can no longer have kids, which seems to be an issue for her. Christina deals with dating with an ex who thinks it’s his job to approve each guy. Torrei has a problem with being taken seriously after years of being married to comedian. Sheree struggles with her ex’s new wife getting close to her kids. So, What are Our Sistahs Saying about Atlanta Exes? Well, Goddesses, whether or not Atlanta Exes turns out to be a hit new reality TV show remains to be seen. Guess we’ll all have to wait for the answer to the question. 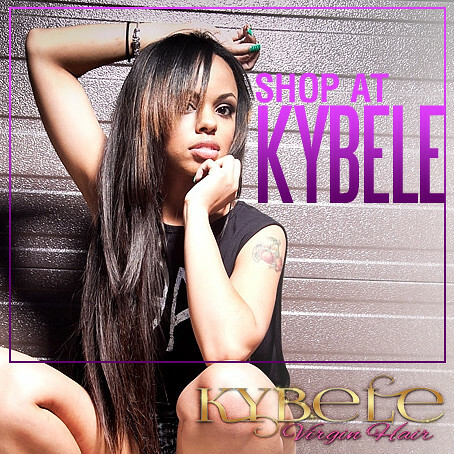 But, here at Kybele Virgin Hair, we’re all just anxious to see what kinds of fashion styles and hair weaves the ladies will have to share with us. With all that ex-celebrity-wife money that each have, we’re expecting some fancy, super-expensive, authentic, 100% virgin hair extensions to hit our TV screens. Cuz, let’s face it goddesses, if your hair don’t look good, you don’t look good. Lol. Are you more anxious to see a new line of drama on Atlanta Exes, or a new line of fashion and hair weaves? Share your thoughts in the comments below.